We write to share results from the election that took place November 14-16 and 19, in which approximately 1,250 graduate students were eligible to vote on whether or not graduate assistants at Brown would be represented by a union. 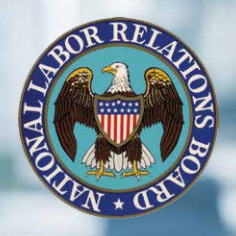 While final certification of the outcome will not occur until all valid ballots are counted and any election-related disputes are resolved, the American Arbitration Association (AAA), which oversaw the election, tallied the results and reported that with a vote of 576 to 394, the majority of the electorate voted in favor of unionization. Upon certification of this outcome, the University will recognize SUGSE/AFT as the exclusive representatives of graduate assistants in the bargaining unit on employment matters. We want to recognize everyone who actively engaged in this process — particularly those who took time to learn about the issues and exercise their right to vote. Encouraging full community participation in this election was a foremost priority and the guiding principle in our engagement with graduate students. Since the National Labor Relations Board’s August 2016 ruling that gave graduate students who are also employed at private universities the right to unionize, Brown has been committed to cultivating an environment in which graduate students could make this important decision for themselves. I’m pleased that working with SUGSE/AFT and AAA, we were able to provide a fair and orderly process, offering ample opportunities for graduate students to be active participants in a decision that affects all graduate students. Per the June 2018 Union-University Pre-Election Agreement, Brown and SUGSE/AFT will begin negotiations over the terms of a collective bargaining agreement, and we will work in good faith around the important matters of wages, hours, and terms and conditions of employment for the members of the bargaining unit. Exceptional graduate education is central to our mission. Through Brown’s distinctive approach to education, research and discovery, graduate students are essential to our ongoing endeavor to make a difference in the world. We remain committed to continually strengthening our efforts to support the academic, intellectual and personal growth and success of our graduate students. They are a vital and deeply respected part of our community at Brown. Brown University has an ongoing commitment to strengthening support for and engagement with our more than 2,600 graduate students on campus. 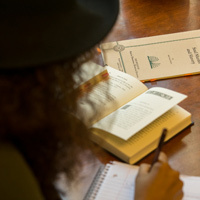 Graduate education has been central to Brown’s mission for more than a century, and we believe that the teaching and research our students undertake are integral to a graduate education. 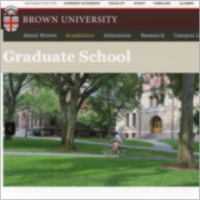 Brown believes its principal relationship with graduate students is as students. This guides how the University admits, recruits and trains these students. And while Brown’s position has remained unchanged in this regard since the NLRB’s 2004 Brown decision (which dismissed a petition by the United Auto Workers Union (UAW) to be the bargaining agent for certain graduate students at Brown), the NLRB’s ruling on the matter has changed. Since the August 2016 Columbia ruling, Brown has been consistent in stating that the University would comply with the prevailing law and support discussions among graduate students as they explore whether or not unionization is right for them. We believe firmly that a determination regarding unionization is a decision that is ultimately theirs to make, and our foremost priority is to ensure that students are empowered with the facts, and that the full graduate student body participates in making an informed decision that will affect all graduate students. 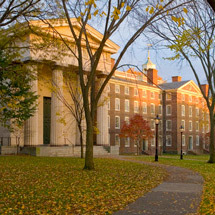 With graduate degrees awarded by Brown since 1888, graduate education has been central to the University’s mission for well over a century. As students explore unionization, it’s important to state what we value at Brown: Our deep history and promising future for graduate education at Brown; our graduate students and their individual contributions; and an open and informed discussion on unionization. This page outlines the basics on collective bargaining and the election process, organized through the National Labor Relations Board, by which eligible bargaining units can choose to be represented by a union. These FAQs explore common questions about the conversations taking place on the Brown campus and across the country about the roles that graduate students play in teaching and research at private universities, as well as the potential impact and implications of unionization. As graduate students explore unionization, this page includes news and updates from the University, including correspondence to the community from Brown’s senior leaders. 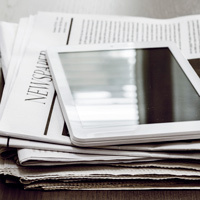 The resources cataloged here include facts about graduate education at Brown, links to relevant NLRB cases and historical news releases from the University.